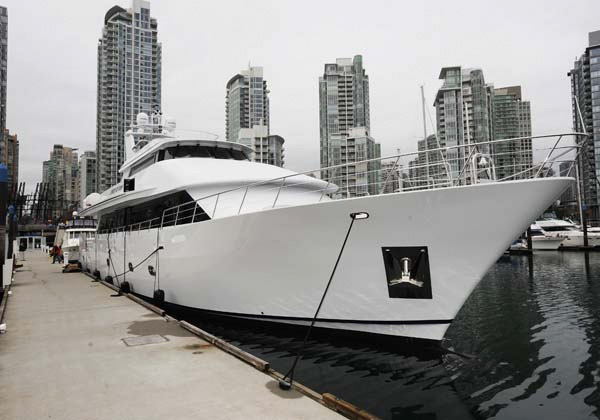 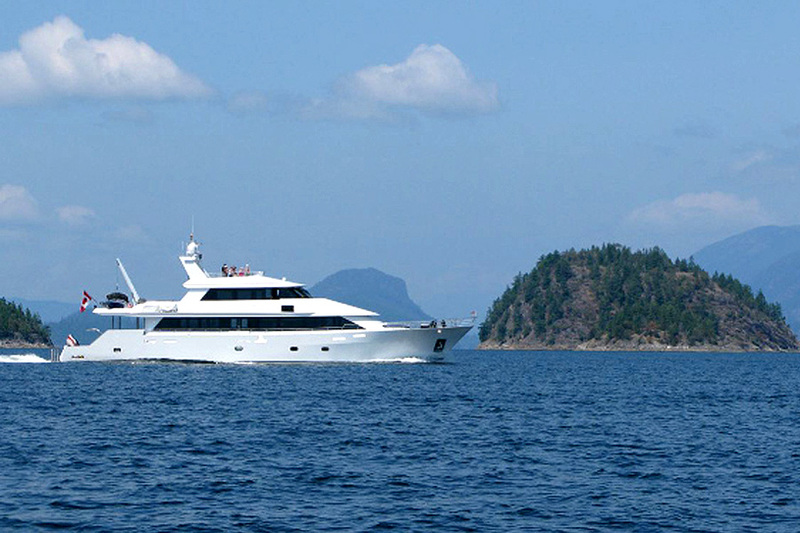 charter yacht built by Platinum Marine in 2009. 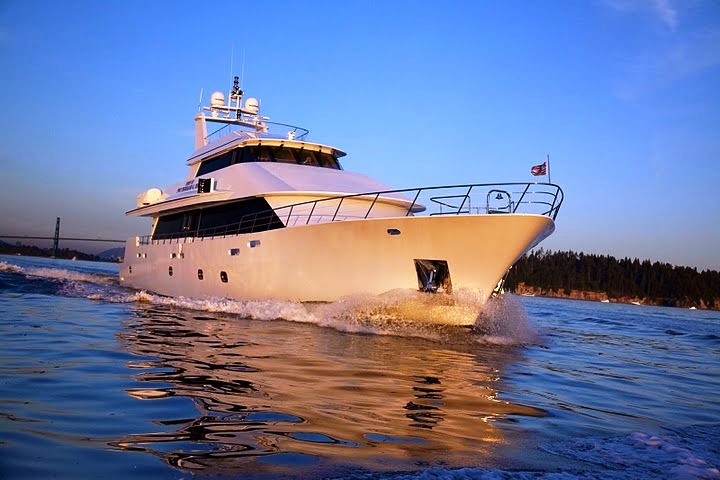 She can accommodate up to 10 guests overnight and is based in the spectacular Pacific Northwest and Mexico. 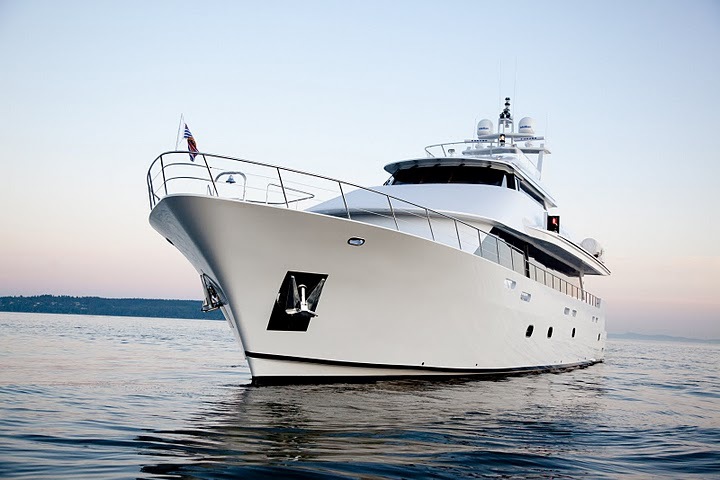 Charter yacht THE SPIRIT OF TWO THOUSAND & TEN offers the comforts and luxury of a five-star hotel and the best of West Coast fine dining. 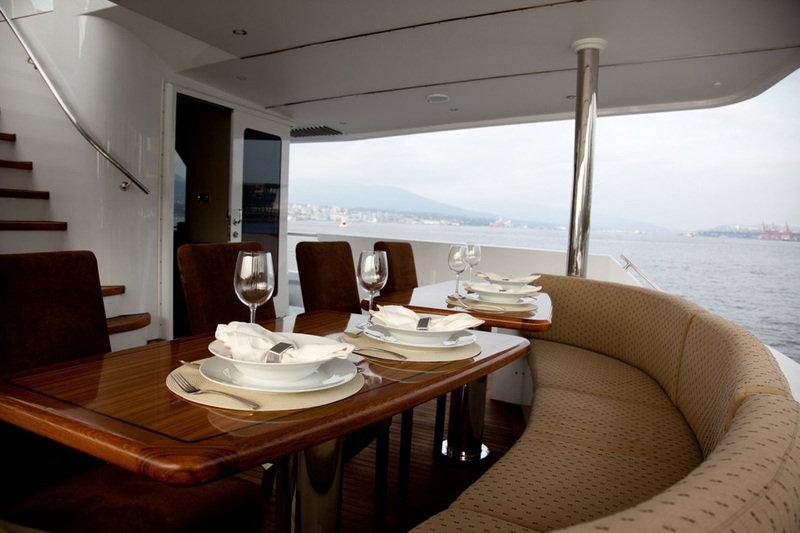 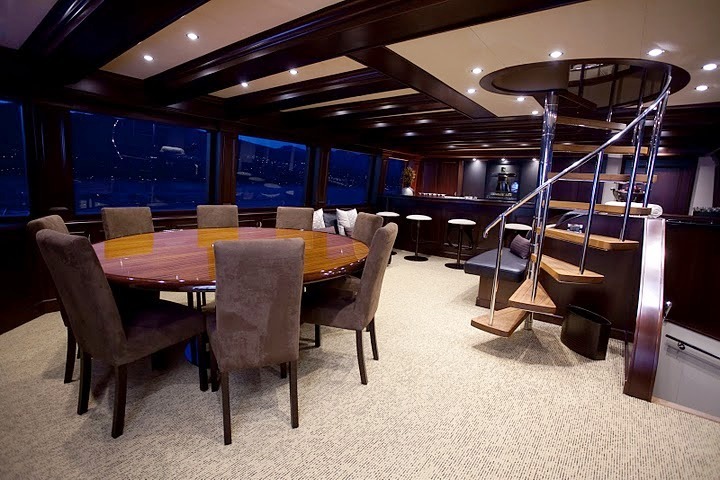 She can host up to 80 guests for short charters and 10 overnight passengers for business or pleasure. 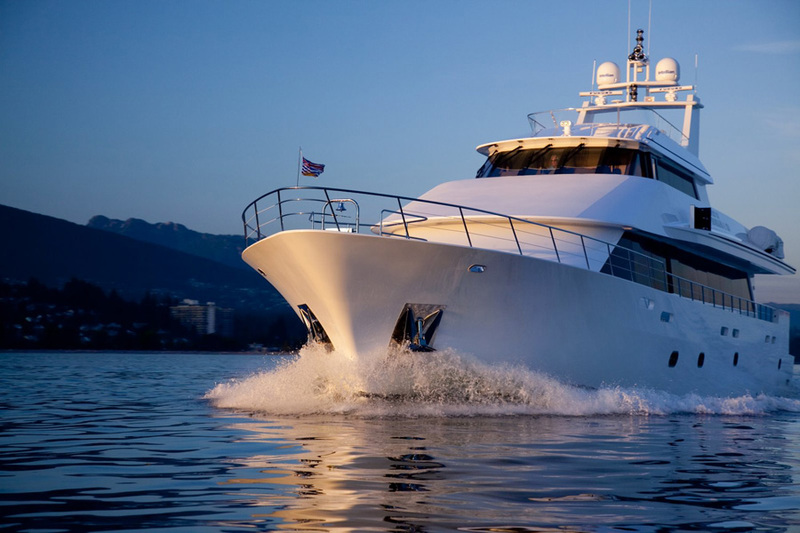 Whatever your desire, the Spirit and her impeccable crew will be sure to impress and make memories that will last a lifetime. 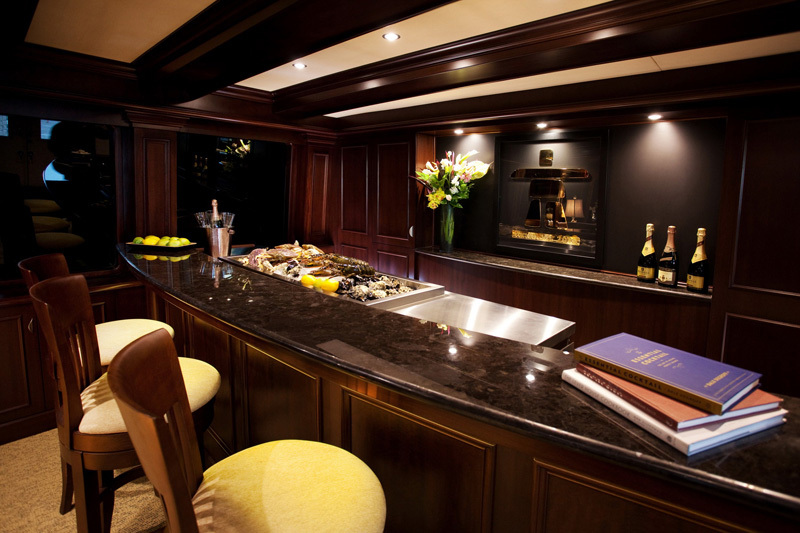 M/Y THE SPIRIT OF TWO THOUSAND & TEN has an interior designed and built with both luxurious beauty and state-of-the-art functionality in mind. 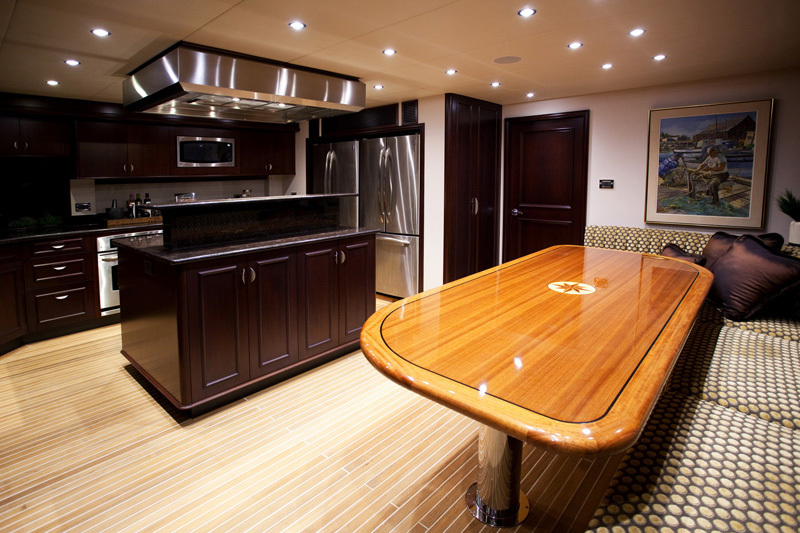 Enjoy Makore wood finishing throughout, teak floors, granite countertops, and only the best of furnishings and fixtures. 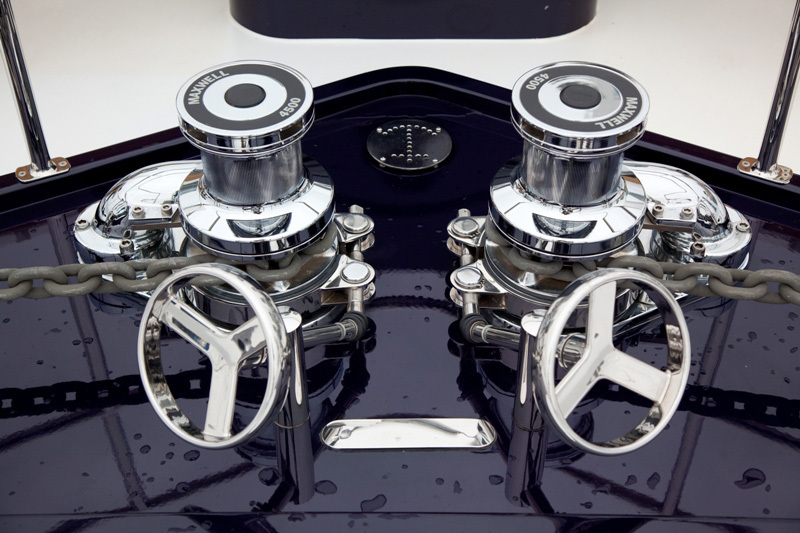 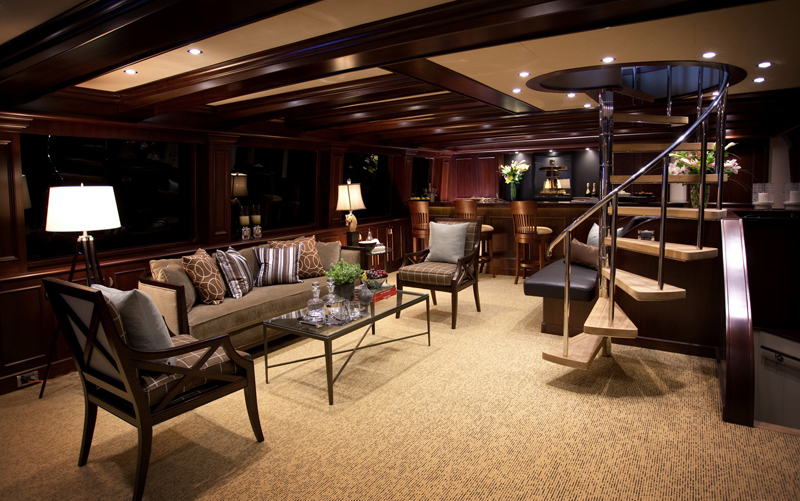 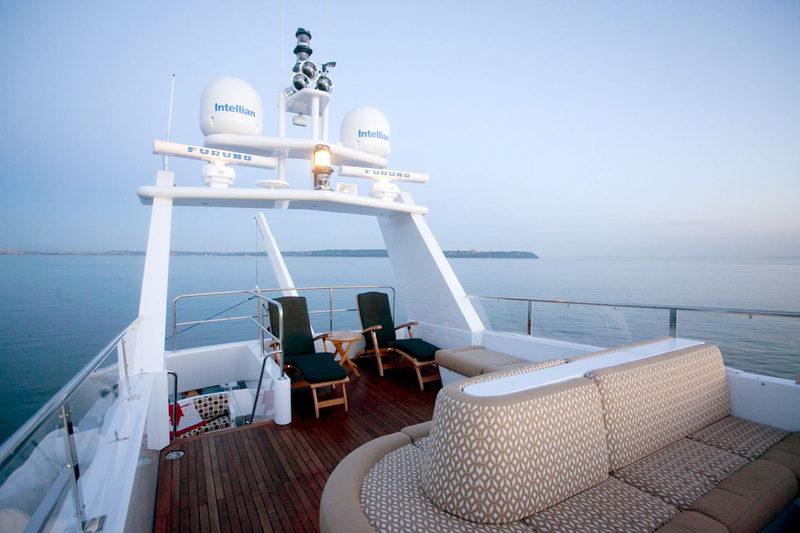 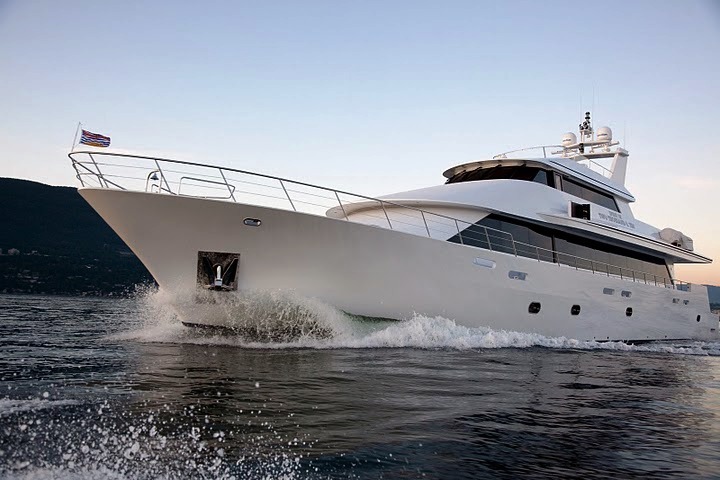 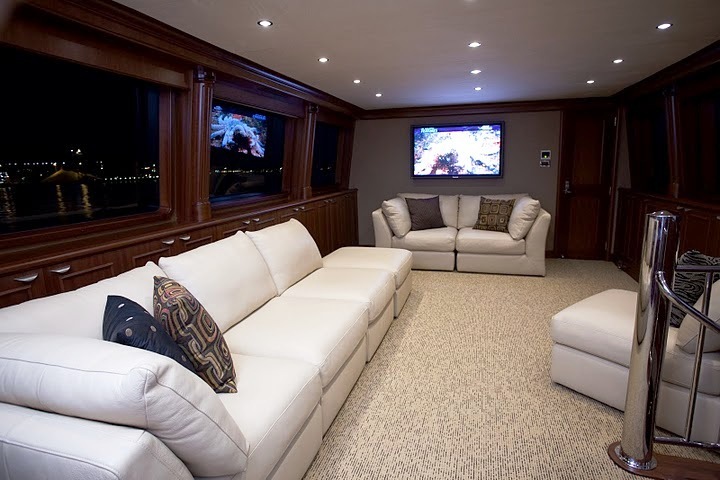 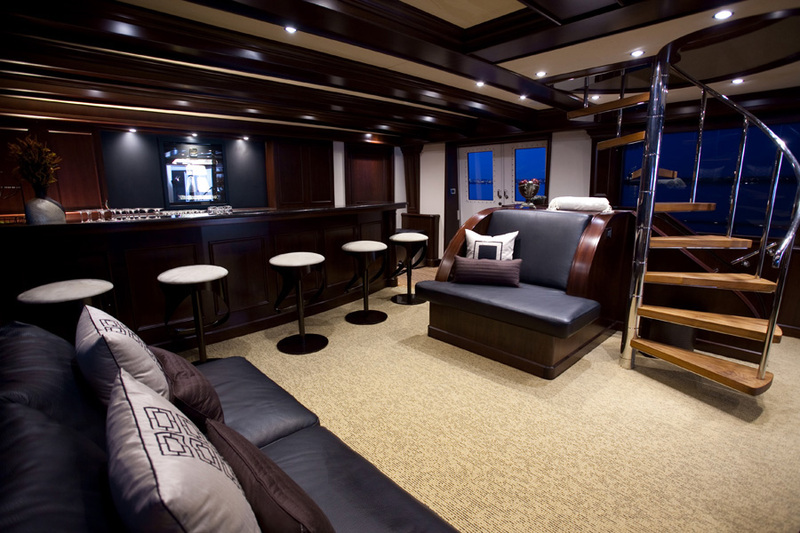 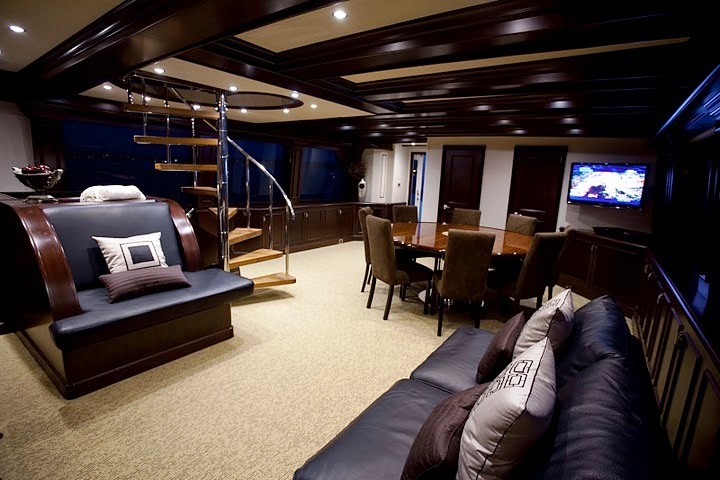 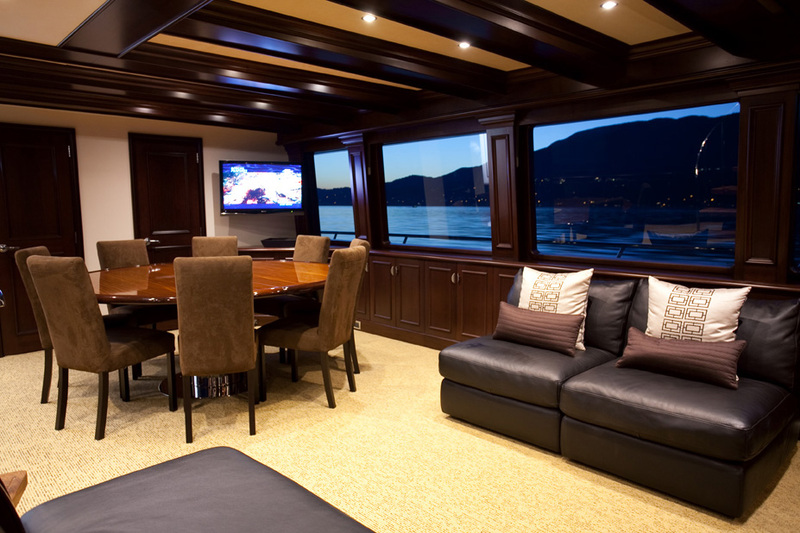 Her engine room and interiors are expertly engineered to reduce noise and enhance privacy. 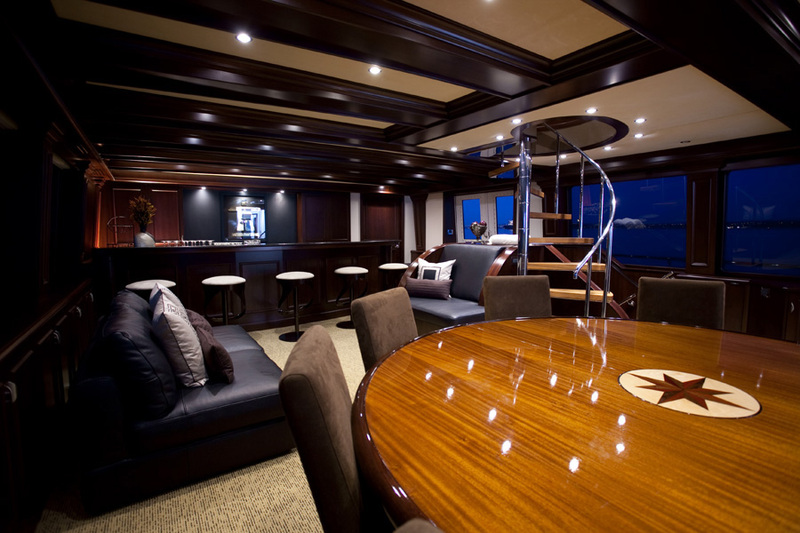 Pass the time and enjoy the views from the wide selection of comfortable lounges, dining areas and multimedia rooms. 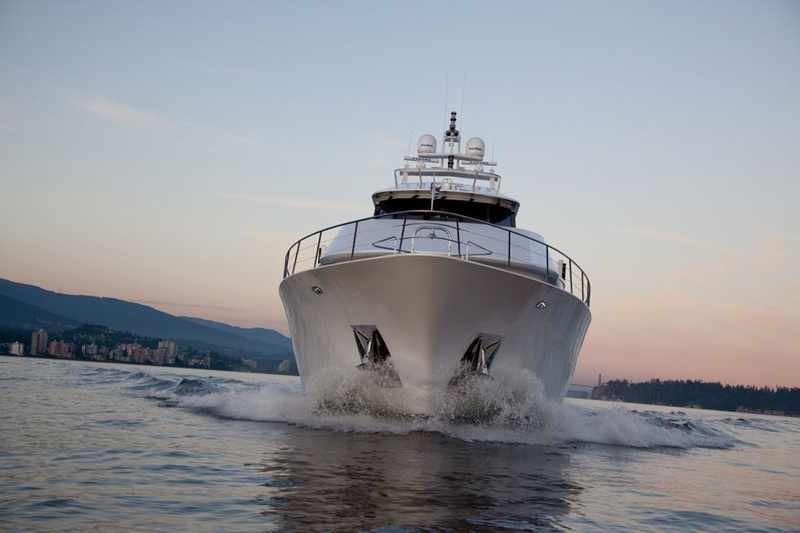 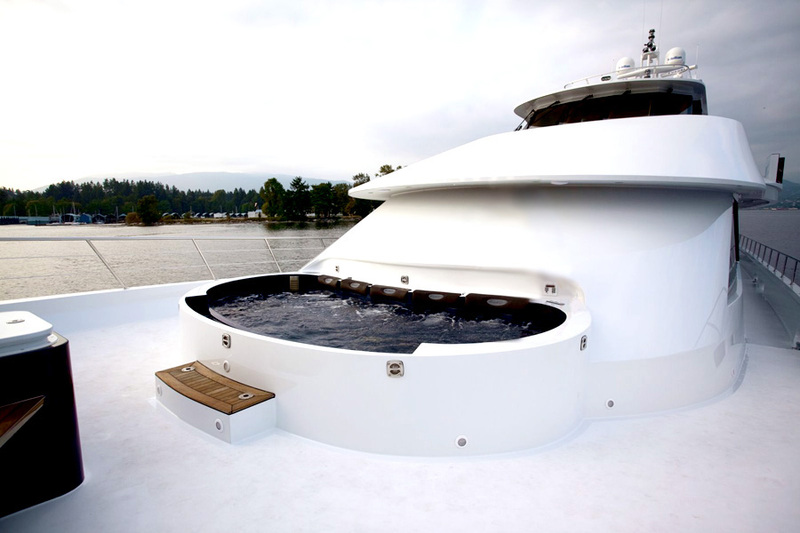 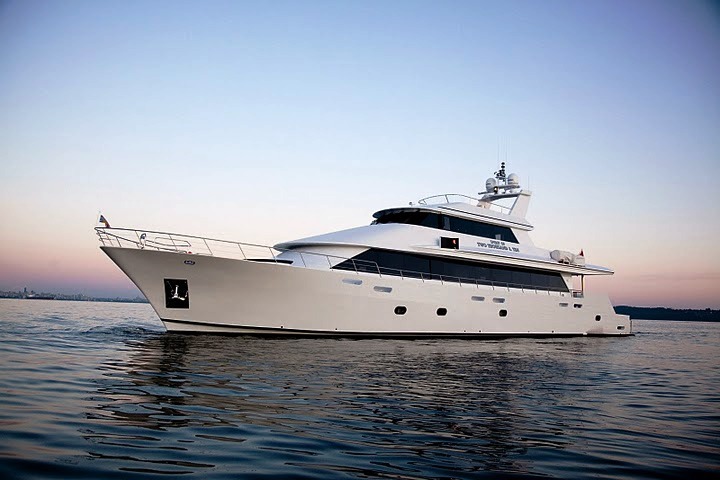 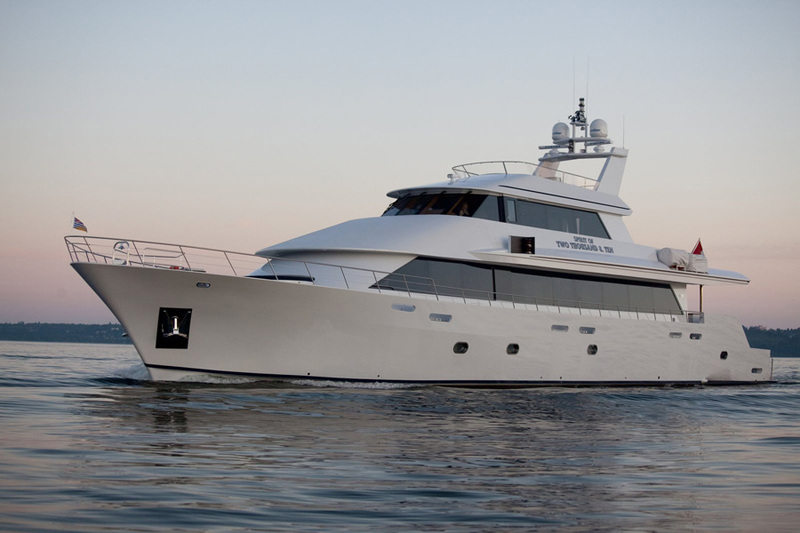 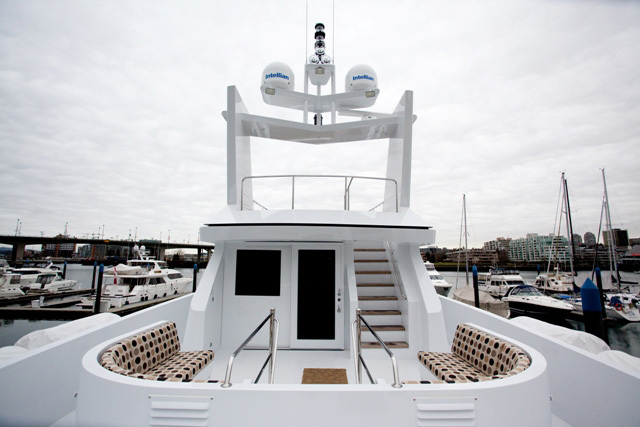 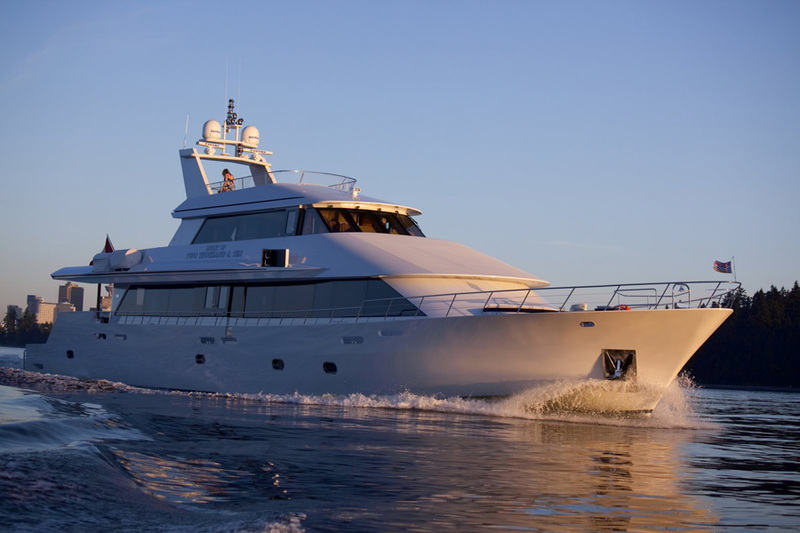 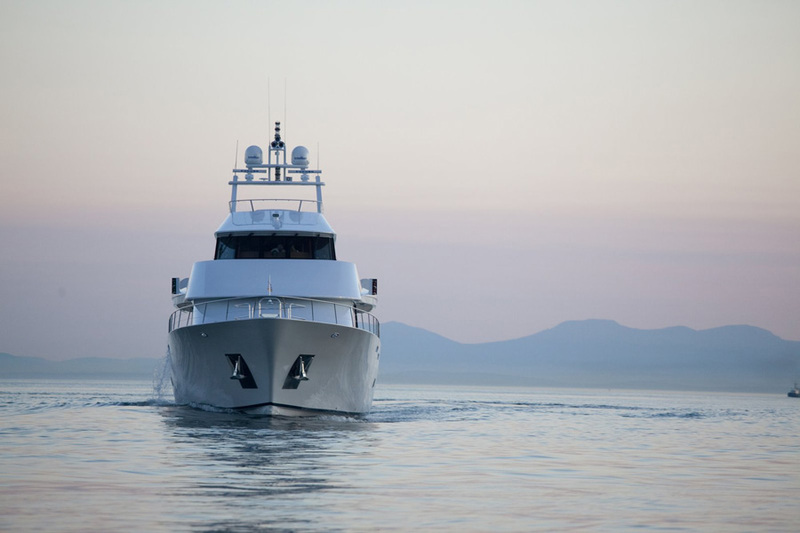 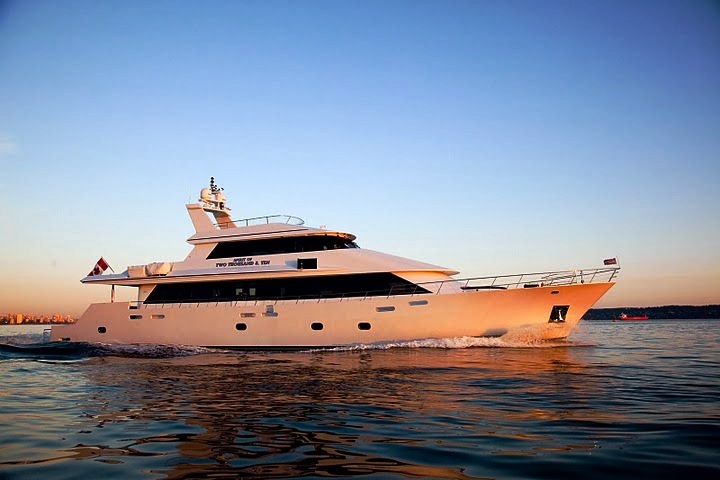 Experience the operation of the vessel with the crew in the pilothouse or take a soak in the 900-gallon hot tub. 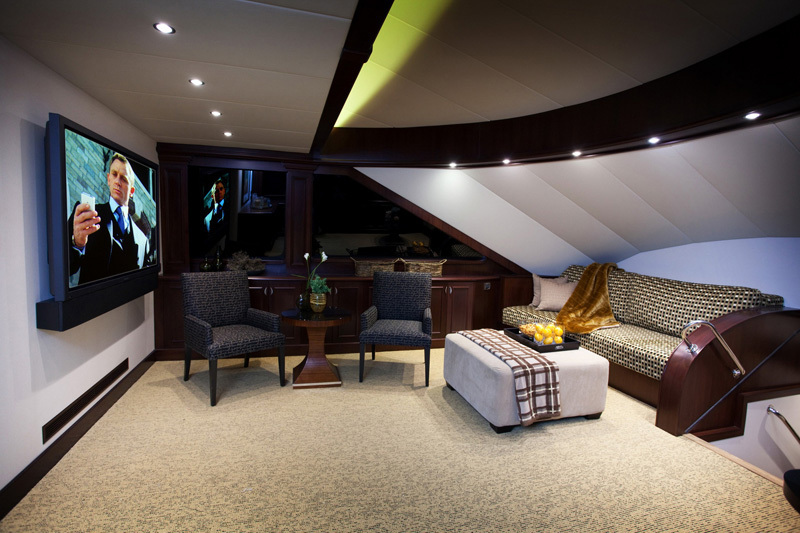 Keep in touch with wireless internet throughout or enjoy choosing a movie from the on-board DVD library. 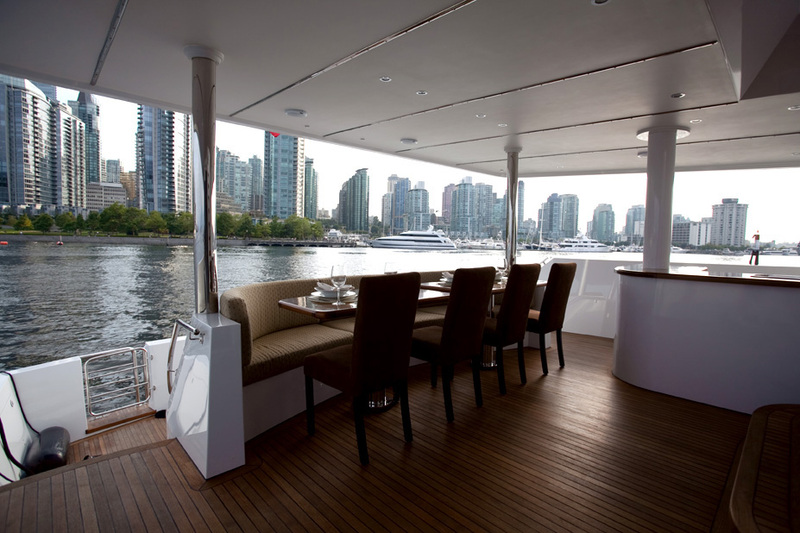 Guests are also invited to take part in a long list of both indoor and on-the-water amenities and extras. 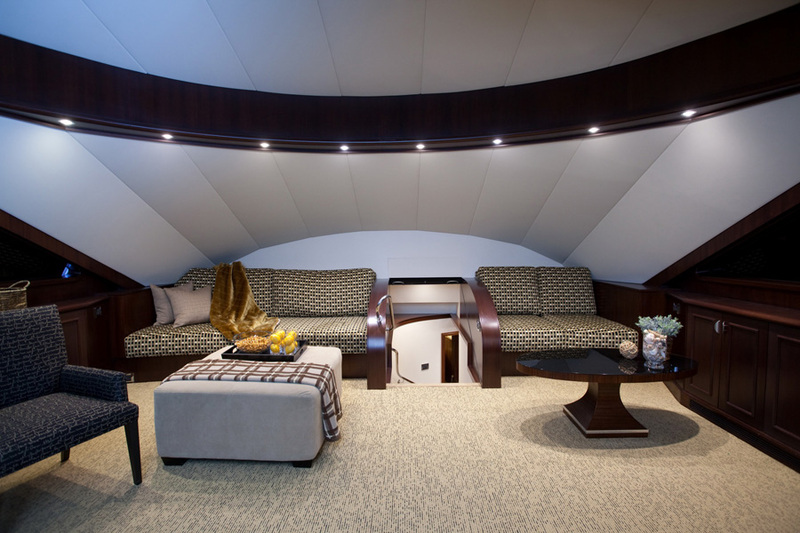 For THE SPIRIT OF TWO THOUSAND & TEN, comfort and privacy were kept in the forefront of the designers' minds. 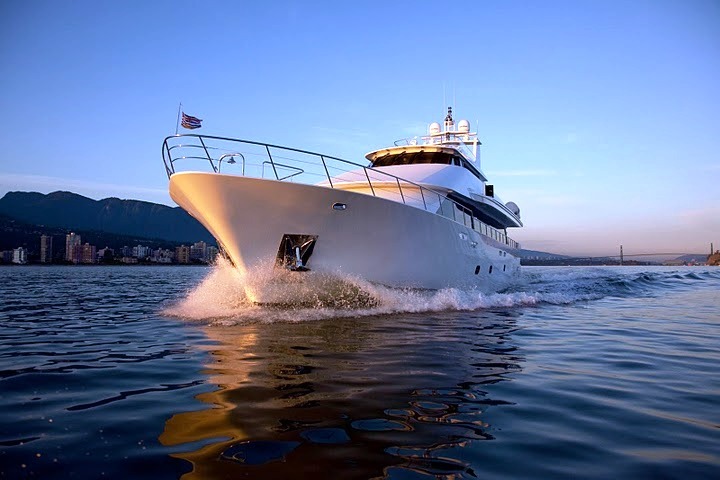 All staterooms come furnished with queen-sized beds and personal TVs and DVD players. 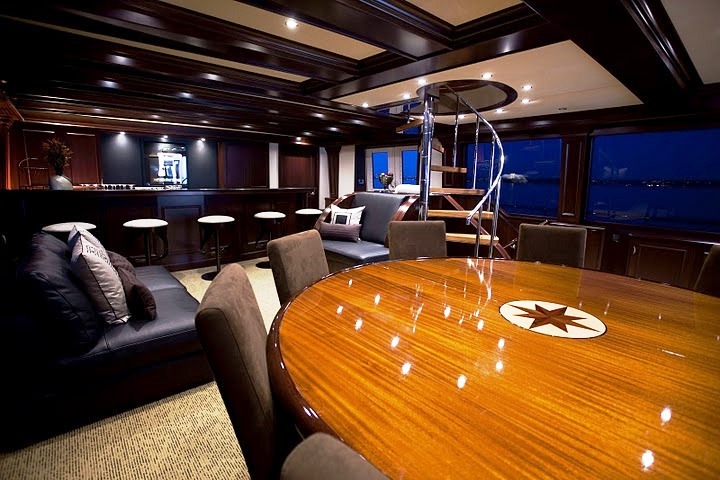 The master stateroom is in a class of its own, accented by ornate wood features and complete with two extravagant heads (washrooms) where you can take your choice of a shower or steam spa for two. 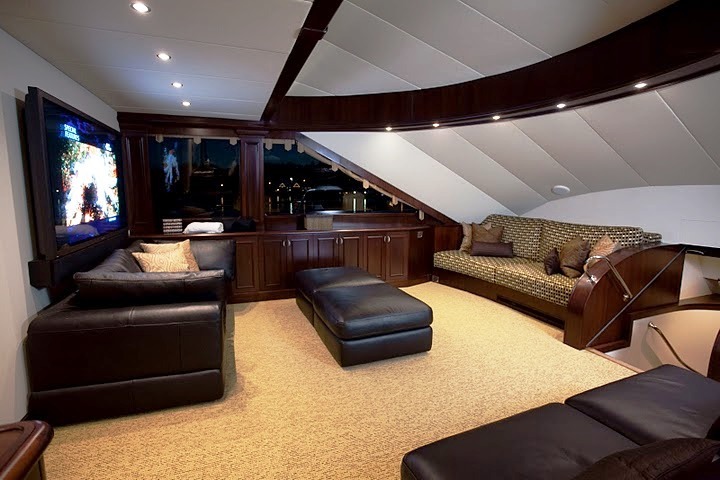 The four guest staterooms feature private heads with a shower in each cabin. 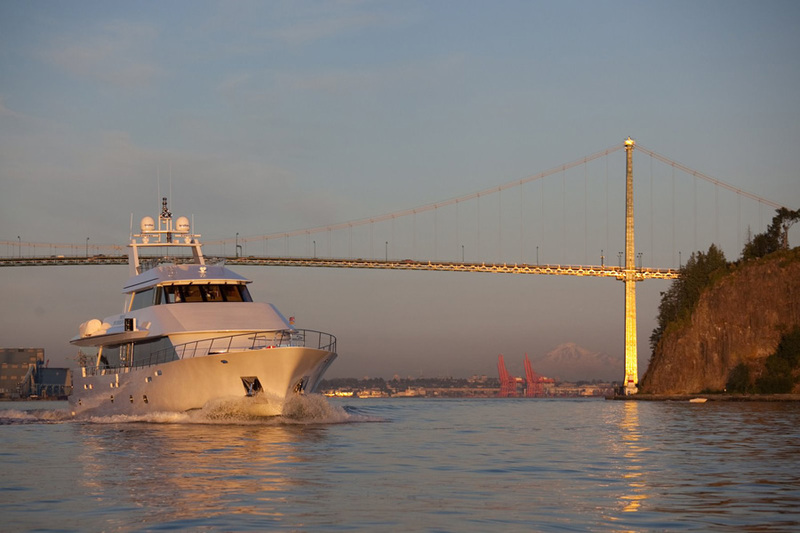 Custom-polished stainless steel port lights boast a unique perspective of the passing views. 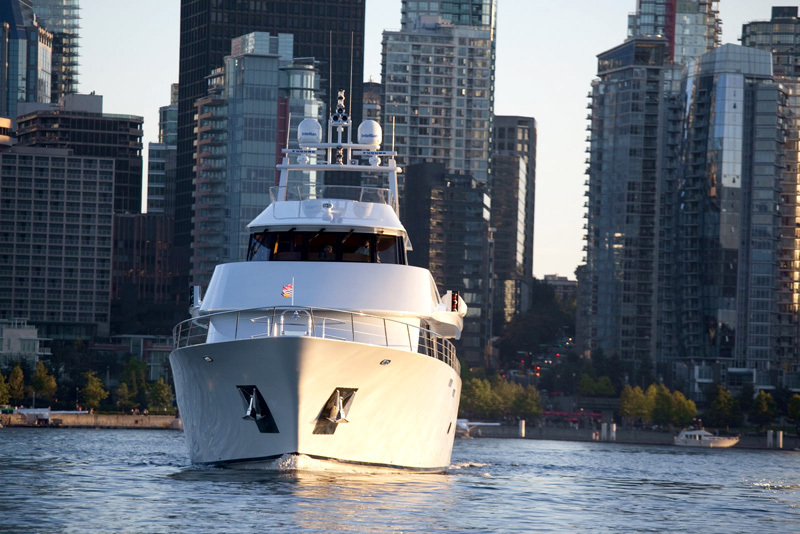 Pacific Northwest motor yacht THE SPIRIT OF TWO THOUSAND & TEN has the following Charter Amenities and Extras: Her Indoor Amenities include an onboard computer, Wireless Internet access throughout the vessel, Audio-visual equipment including 12 plasma and LED screens ranging between 32Ó and 65Ó, 2 multi-media stations, Satellite radio/TV, Satcom system, Ship DVD library, 16-camera infrared digital surveillance system, Outdoor 900-gallon hot tub. 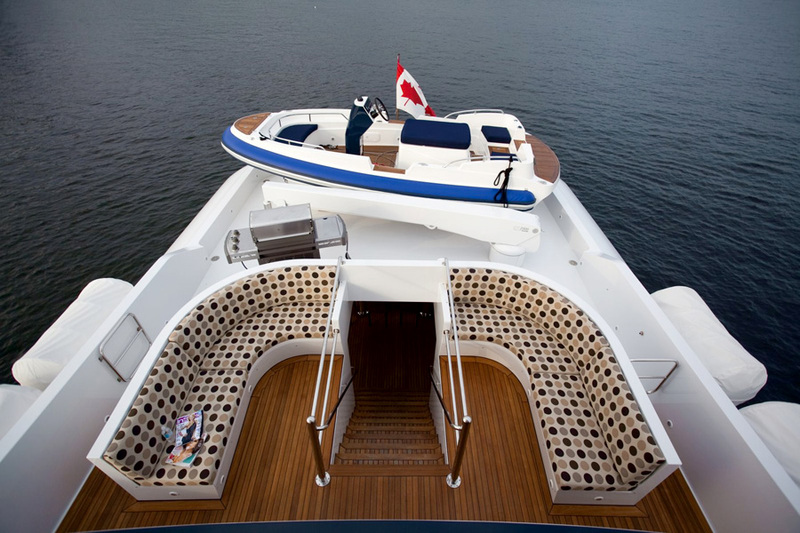 Water Sports include a Jet Ski. 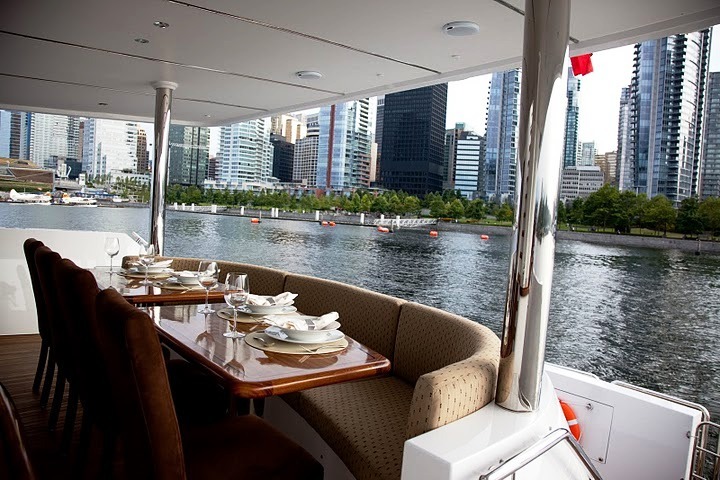 The following list of amenities are per request only, extra charges apply: Kayaks, Snorkelling equipment, Scuba diving equipment and Fishing equipment.